The men’s and women’s college basketball tournaments are in full swing. As schools face each other on the court and tournament brackets are poured over, the real question on everyone’s mind is: But how do these schools’ students do on the CPA Exam? 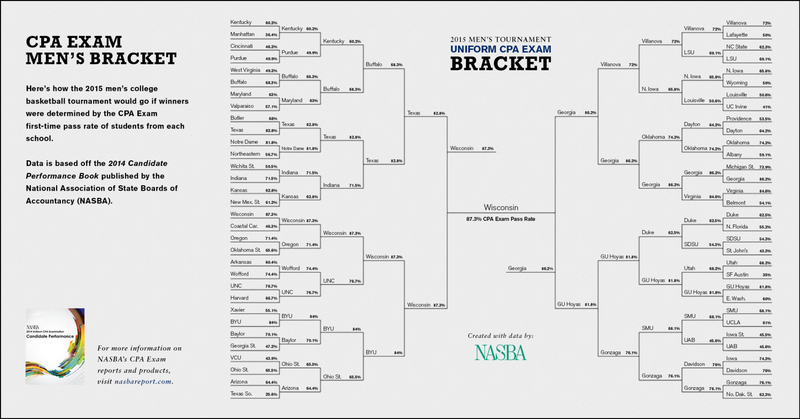 To answer this, we’ve created our own brackets using the first and second round teams from the men’s and women’s tournaments, respectively. 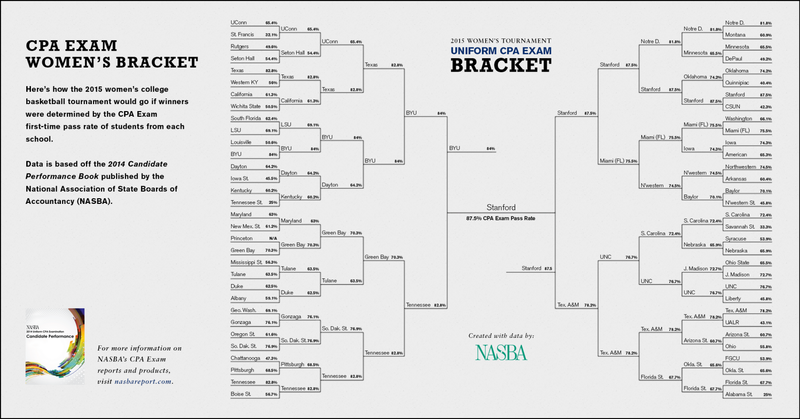 In our brackets, however, the winning school of each match up is determined not by how their basketball team performs on the court, but by how their accounting students do the first time they take the CPA Exam. All data used comes from NASBA’s 2014 Candidate Performance Book, which is available for purchase at NASBAreport.com.